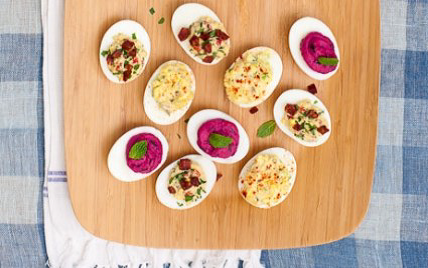 These deviled eggs put the color inside the egg, not outside, with the addition of beets to a classically creamy yolk filling. Look for precooked, peeled beets in the produce section. Place eggs in a large saucepan and cover by a few inches with water. Cover and place over medium-high heat and bring to a boil. Remove from heat and allow to sit, covered, 10 minutes. Drain, cool and peel eggs. Halve eggs lengthwise. Scoop out yolks and place them in a food processor along with beet, mayonnaise, mustard, salt and pepper. Process until smooth, stopping frequently to scrape down sides of the bowl. Add chives and pulse until combined. Pipe or spoon the yolk mixture into the egg whites and place them on a plat-ter. Top each with a whole mint leaf or a sprinkling of sliced mint leaves. 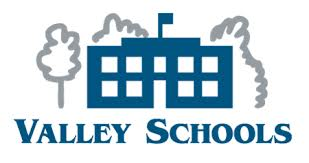 Provided by Rebecca McGonigle of the Valley Schools Employee Benefits Trust (VSEBT) from the April Wellstyles Monthly Newsletter.